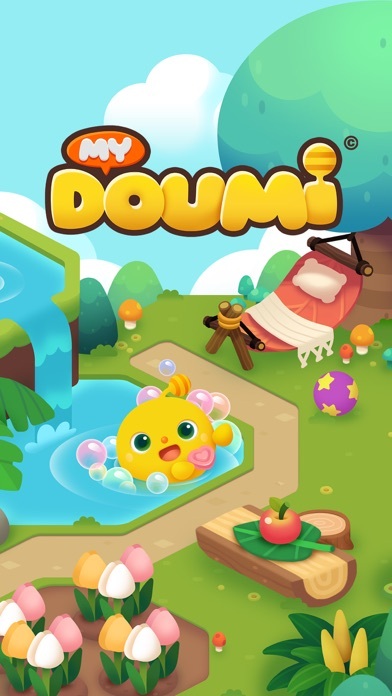 Say hello to Doumi, your new virtual pet! Get ready to play games, dress up, and eat yummy snacks to help keep Doumi happy. 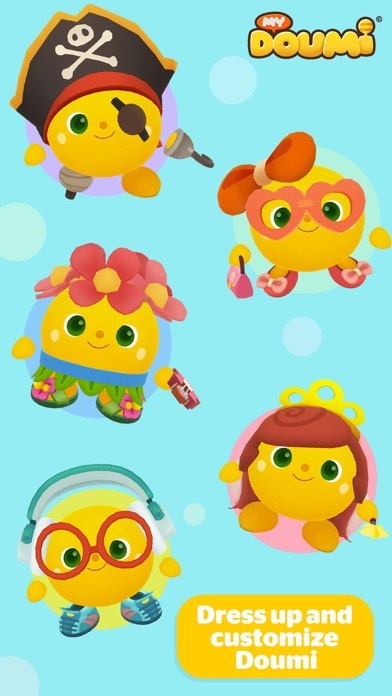 Don't forget to let Doumi rest every day so you can watch them grow and change shape, evolving into the perfect pet! 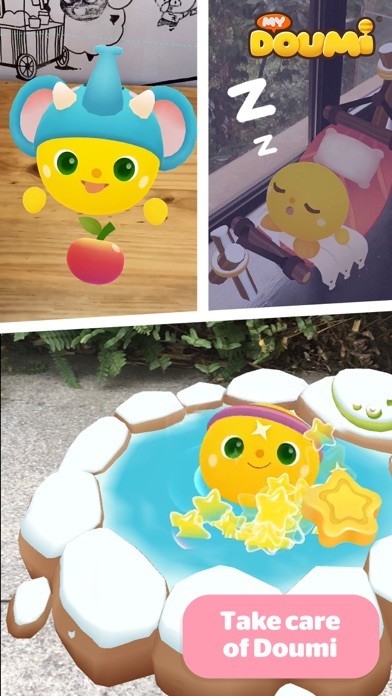 PLAY IN AR Now go everywhere with your pet Doumi, using the magic of AR! 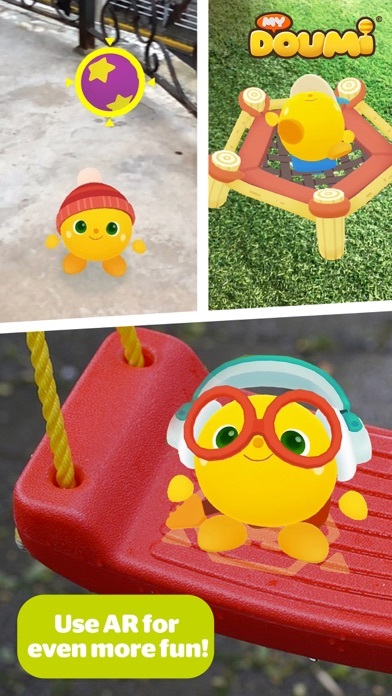 Take a picnic in the park and feed Doumi delicious treats, bounce a ball in your back yard, or snap pics to show off your adorable virtual pet to friends! MEET YOUR NEW PET Personalize your Doumi with a unique name before you eat, wash and play games together to keep them happy and healthy! Taking care of Doumi will help them level up and evolve. Further customize Doumi’s appearance by mixing and matching tons of cool outfits to create a unique look! EXPERIENCE AR WITH DOUMI Experience the magic of AR with Doumi! Snap cool pics together, feed Doumi delicious snacks straight from your very own kitchen table or bounce a ball back and forth for endless fun! 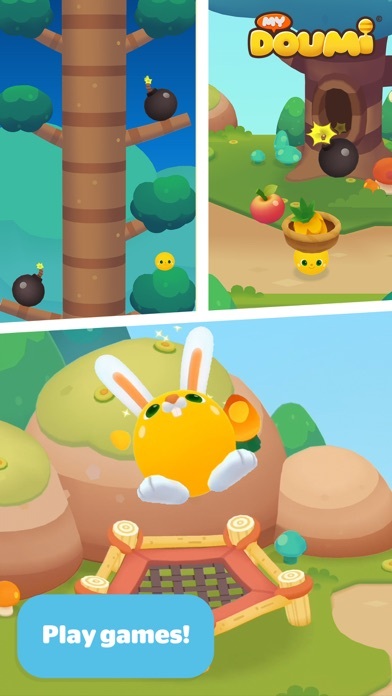 PLAY FUN GAMES Explore the world of Doumi together and have fun with up to 4 mini-games--Falling Fruit, Tree Jumper and more! Scoring high in games will earn you gold coins to unlock rewards for even more fun! KEY FEATURES: • Watch Doumi evolve & change through 50 levels • Bring your Doumi to the real world and play with AR* • Multiple areas to explore • 13 different activities to enjoy • Play together with 4 different mini-games • Feed, wash and play with your new virtual pet • Find your own style with 100+ clothing items • Earn coins and unlock rewards as you progress My Doumi is free to download and play but contains advertisements, and optional in-app purchases which can be used to obtain virtual currency. Some items in-game may require the player be a certain level or have certain currency to purchase them. *AR features are only available on devices supported by ARKit. My Doumi AR can be played on devices without ARKit, but AR features will not be available. 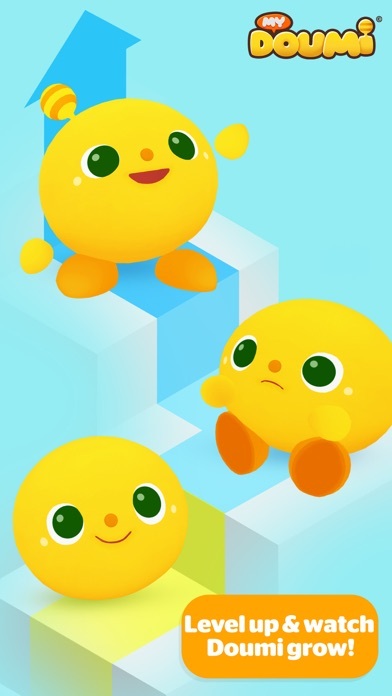 The cutest little blob on the app store! You can make different foods, play in the bath, even go into the real world which is just WOW!